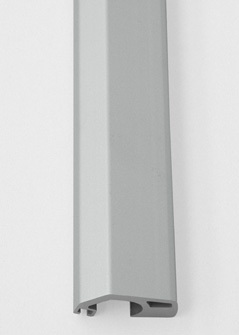 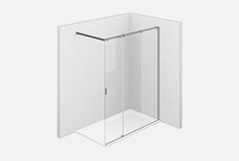 Fixed panel to be combined with the door CQ to obtain a corner shower enclosure. 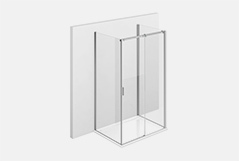 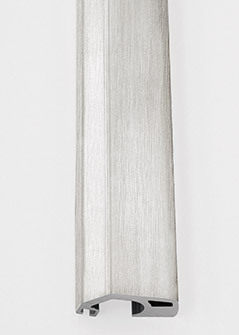 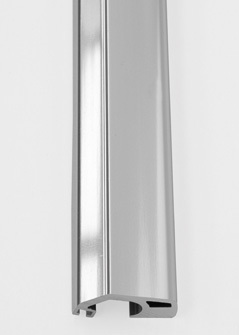 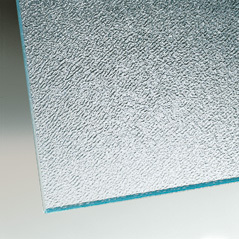 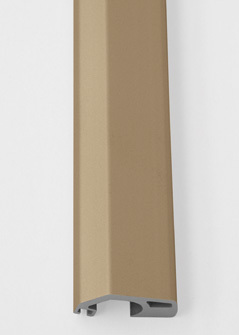 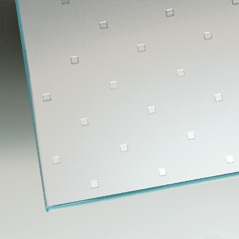 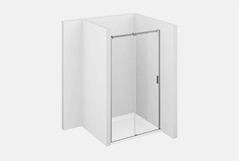 Additional fixed panel for corner or three sided shower enclosure. 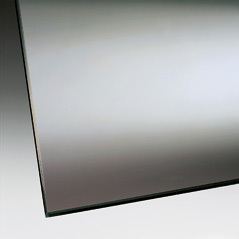 It can be assembled to all elements of Serie 8000 programme. 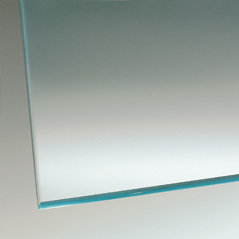 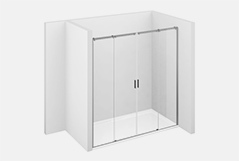 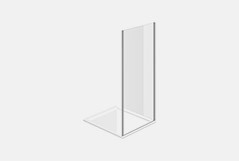 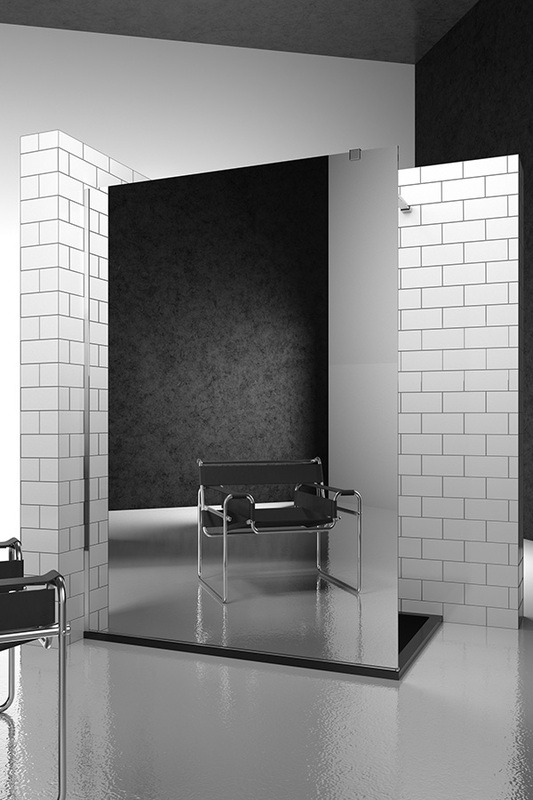 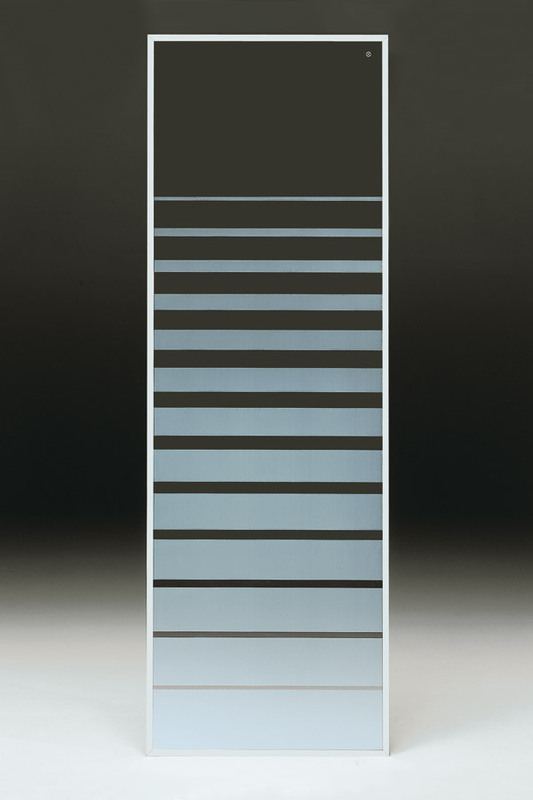 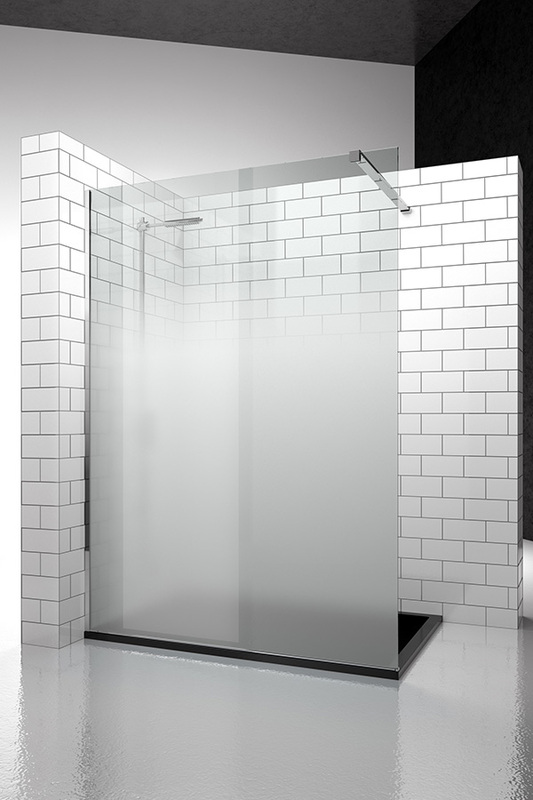 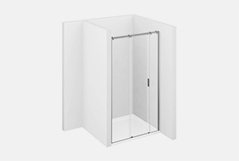 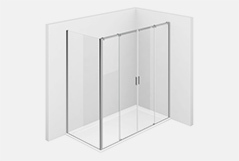 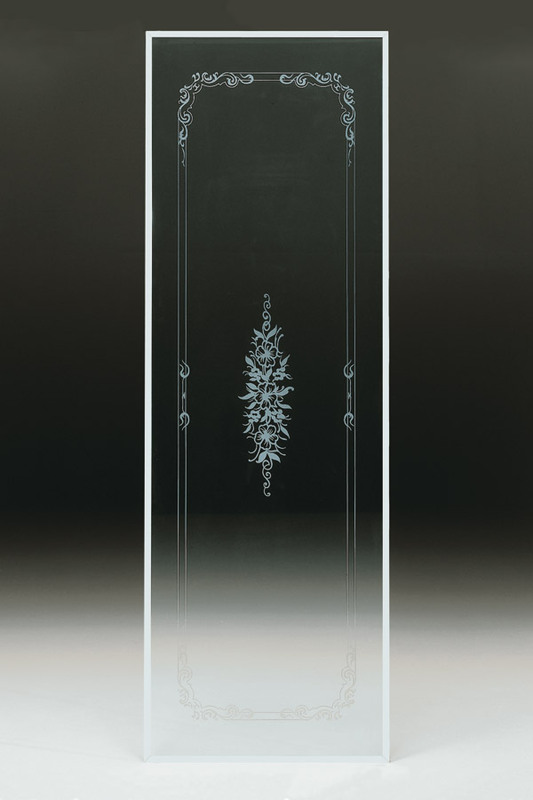 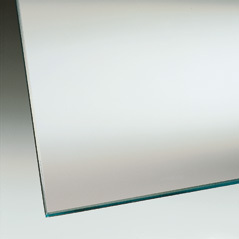 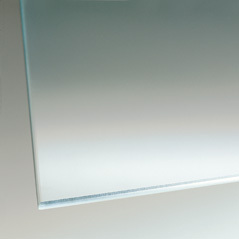 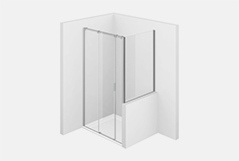 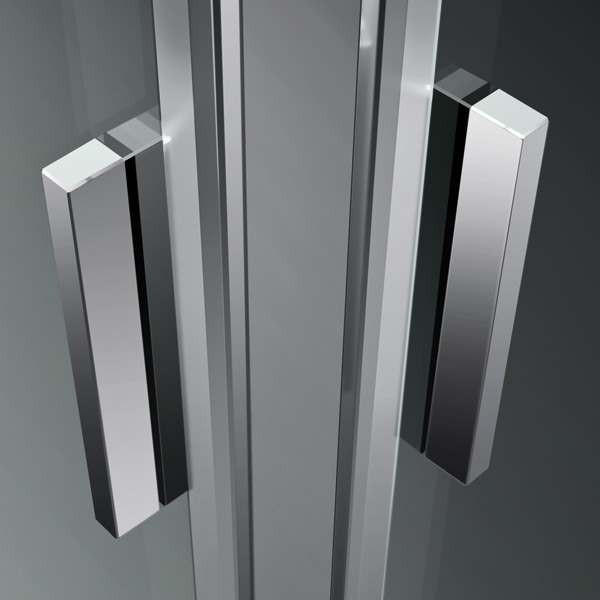 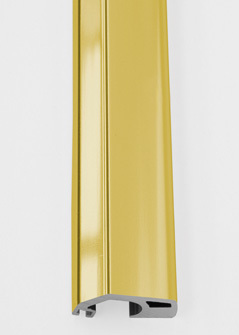 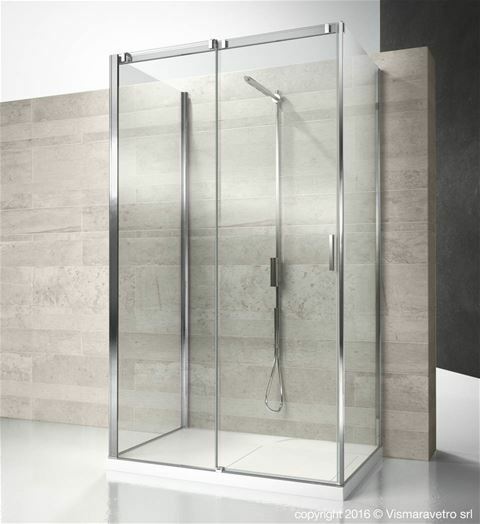 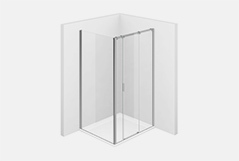 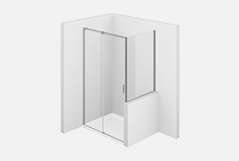 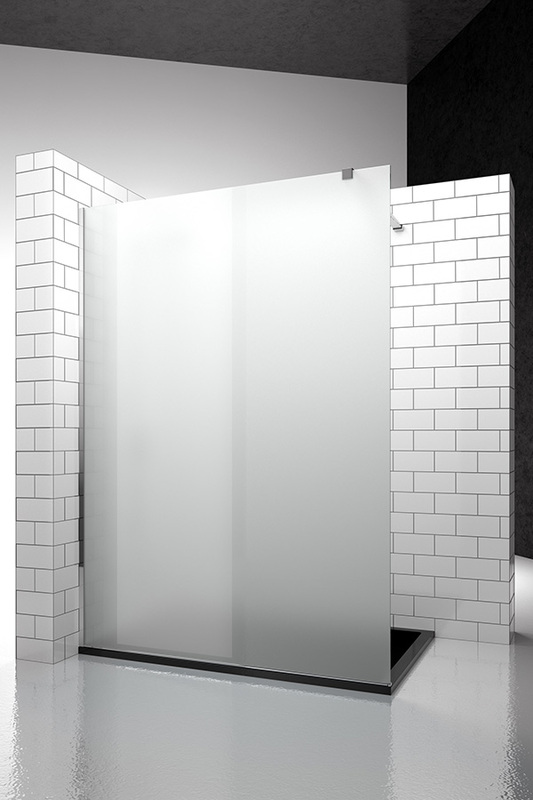 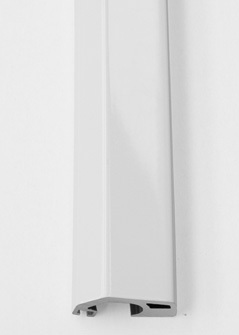 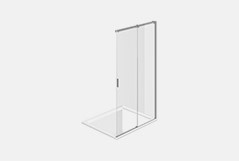 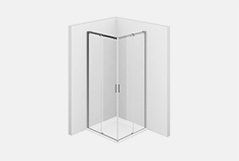 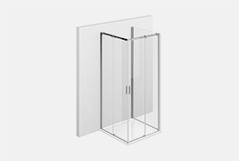 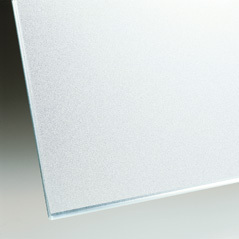 Frameless sliding door to be combined with the fixed panel CF to obtain a corner shower enclosure. 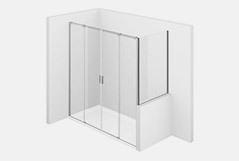 NOTE: Serie 8000 shower enclosure is always custom made (cm by cm). 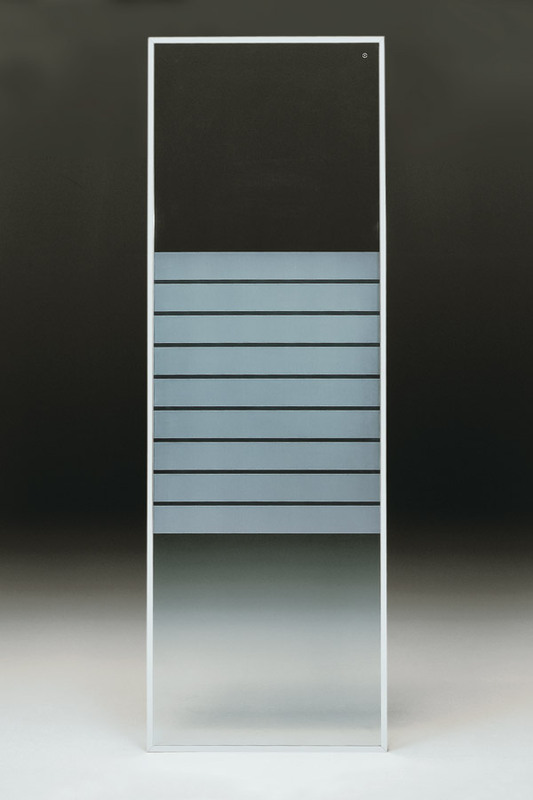 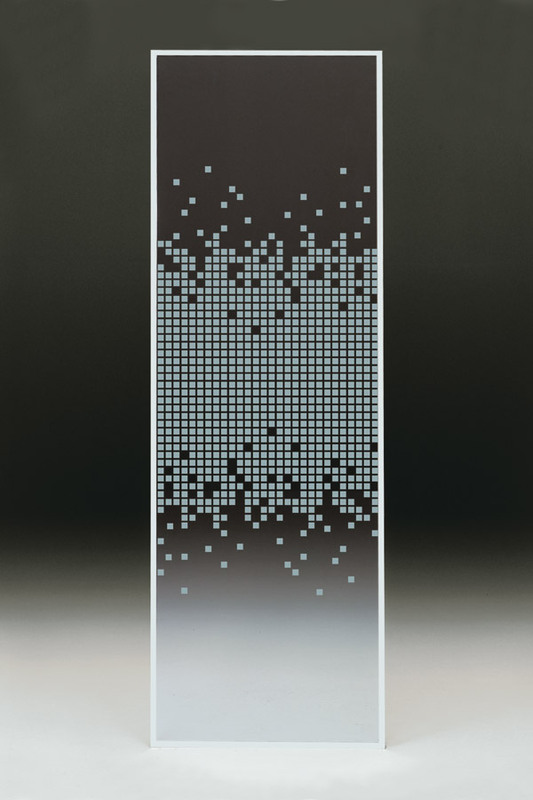 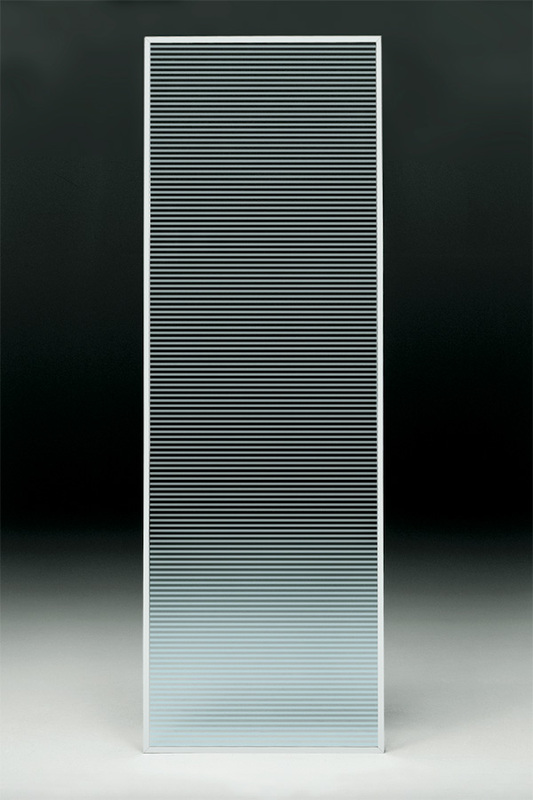 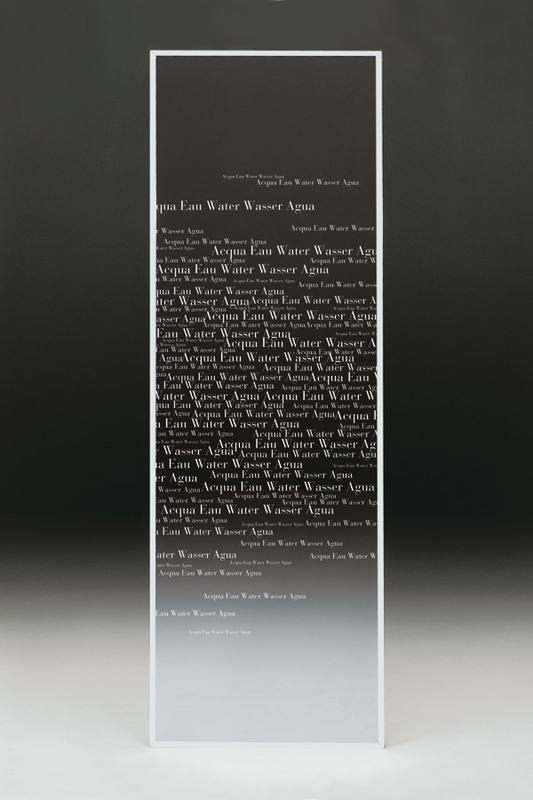 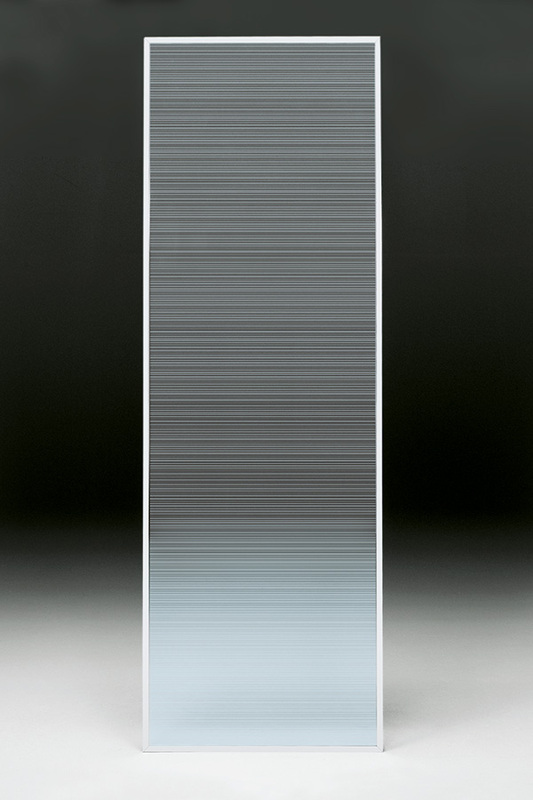 The dimension of the door is approximately 1/2 of the element.